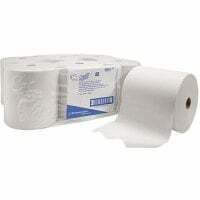 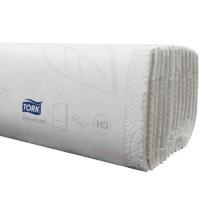 Paper towels, disposable paper for hand-drying, are divided into 1-ply and 2-ply paper towels. 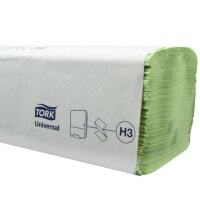 They are available from Praxisdienst-VET by the brand manufacturer Tork, and others, in the colours green and white/natural. 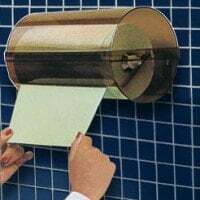 Not only do we supply the most cost-effective and environmentally friendly paper towels themselves, but also matching paper towel dispensers in many different designs! 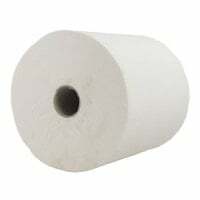 Alongside the standard disposable paper towels, sized 25 x 33 cm, Praxisdienst-VET also offers paper towels on rolls, which are not standardised but are produced specifically for a dispenser. 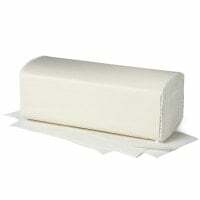 In addition to the elimination of the cleaning costs associated with textile towels, an important advantage of paper towels is the fact that germs are not transmitted to the user's hands via a multi-use hand towel. 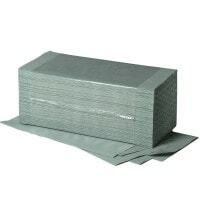 Paper towels are disposed of immediately after use - so no germs are brought into the environment or carried around by staff. 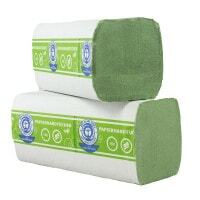 Buy paper towels from Praxisdienst-VET at great rates: affordable prices and the opportunity to benefit from carefully calculated bulk-purchase prices when buying large quantities.